she swoops into the shadows, shouting and flying, the echoes of her voice creating a sound picture of the world around her. When morning light creeps into the sky, Bat returns to the roost to feed her baby . . . and to rest until nighttime comes again. 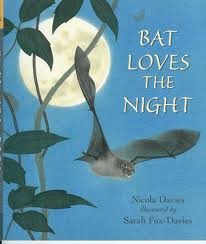 Bat loves the night! Blue words are links to videos or games to help develop understanding. All files have been looked at prior to uploading, however please review them before allowing your child to use them in case they have been changed. Non-Fiction Narrative - Narrative non-fiction, often also referred to as creative non-fiction, is a literary term for a text that presents a true story written in a style more closely associated with fiction. The writer pays close attention to elements of plot structure, character development and themes to make the story as compelling as possible.